Ask a Meemic Educator: How Does Music Affect Students? For Music in Our Schools Month, Meemic Agent and music teacher Adam Stowe talks about the benefits of music to education. Throughout school, my teachers often remarked that music kids – those in band, orchestra or choir – were among the smartest in the school. Although the teachers who mentioned this were usually music educators themselves, I don’t think this observation was tongue-in-cheek. Working as a music instructor (in addition to being a Meemic agent), my own experiences have borne this out, as well. Music is fundamentally different from any other subject we’re taught in school. Unlike many other course types, you can’t cram for a musical performance like you can a written exam. You can't stay up the night before a concert practicing like you can pull an “all nighter” for an English essay. There’s a built-in mechanism where diligent, consistent effort is needed to sound proficient – and I think that’s a terrific thing. In a society that tends toward instant gratification, music helps students learn the lesson of persistence while working toward a goal. Music also helps bring people together, but not in a way that’s superficial. 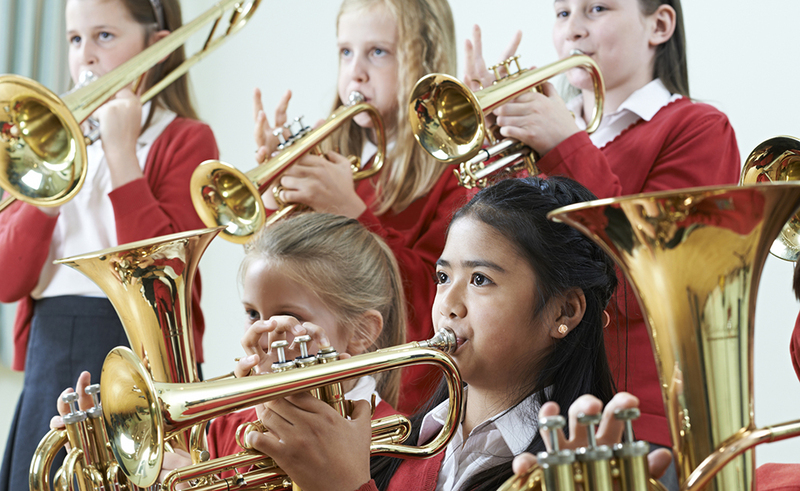 If students want their ensemble to sound its very best, they need to care about how their peers sound, too. This investment in a group, rather than just oneself, helps build relationships in a way not found in a lecture hall. With teamwork being a necessary component of most jobs and workplaces, music students can take their experiences from school and apply them after graduation and beyond. According to pbs.org, music education is also beneficial for language development, increasing one’s IQ, improving test scores and giving your brain a workout. I could go on and on about the benefits of learning an instrument or how to sing, but here’s the takeaway from this post: music pupils are fantastic students, so don’t be surprised if they’re among the top achievers in their school.